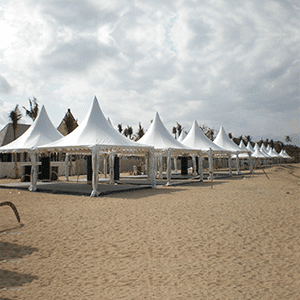 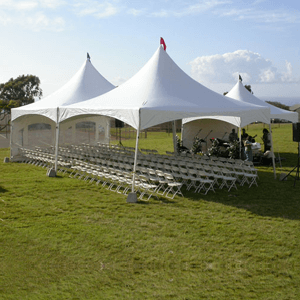 Pagoda tents for sale in Durban, South Africa to buy at competitive prices. 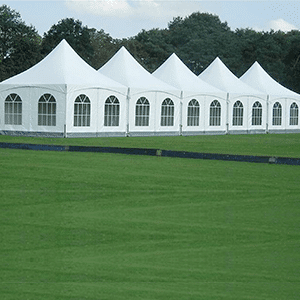 When we manufacture our pagoda tents we use only the best quality PVC materials resilient aluminium frame structures so that all our tents are built for longer lasting. 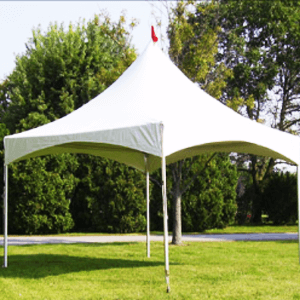 Stretch Tents Durban also manufacture a wide range of products like stretch tents, peg and pole tents, tables and plastic chairs. 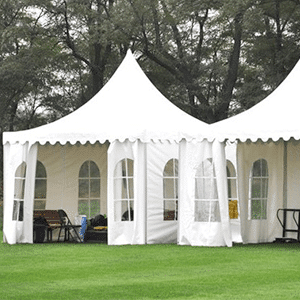 Pagoda marquee tents are available for sale and in a variety of square sized units from 3m through to 20m in a clear-span width. 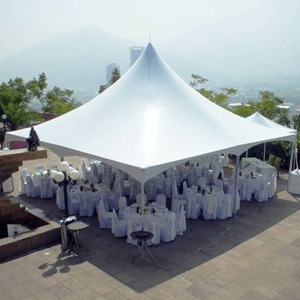 Pagodas create an ideal solution for reception areas or can be joined together by the use of integrated rain gutters, which enables the formation of multiple configurations enhancing the visual impact of any event in any location. 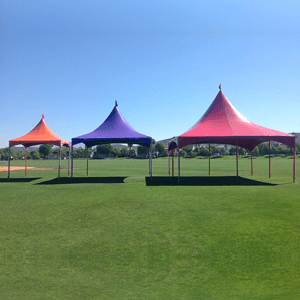 Pagodas provide the means to create stunning, strong and functional event spaces. 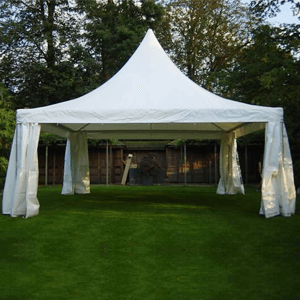 Together with ease of assembling and perfect build-quality, our Pagoda range provides the perfect solution for a vast range of applications.